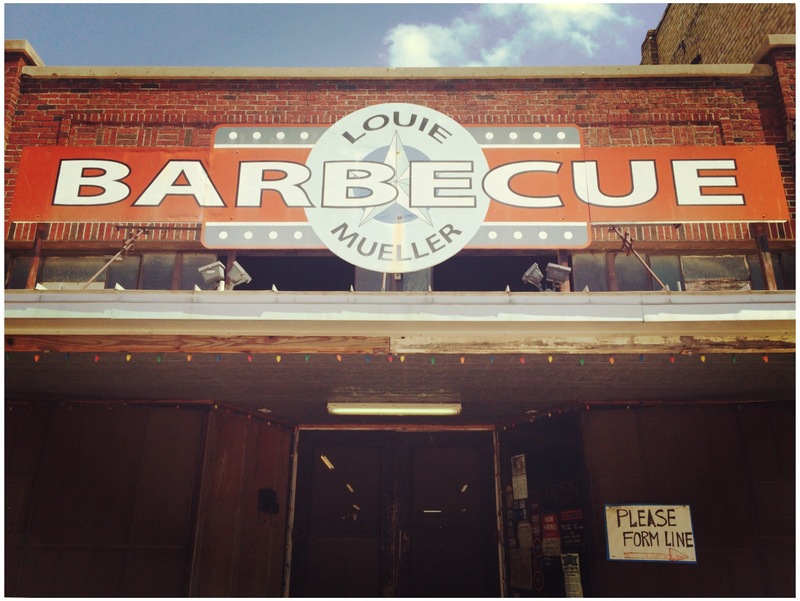 Louie Mueller Barbecue is located at 206 W. 2nd St. in historic downtown Taylor, Texas. Louie Mueller came to Taylor, Texas in the early 1900’s. A grocer by trade, he opened up Louie Mueller Barbecue in 1949. With his success, he moved into the current location in 1959 (and it looks like it!) The smoke that has perfectly cooked his meats is still in the air, and its residue on the walls! Louie brought in his son, Bobby, to learn the craft and to carry on the family business. By 1974, Louie had retired, handing the reigns over to his son. 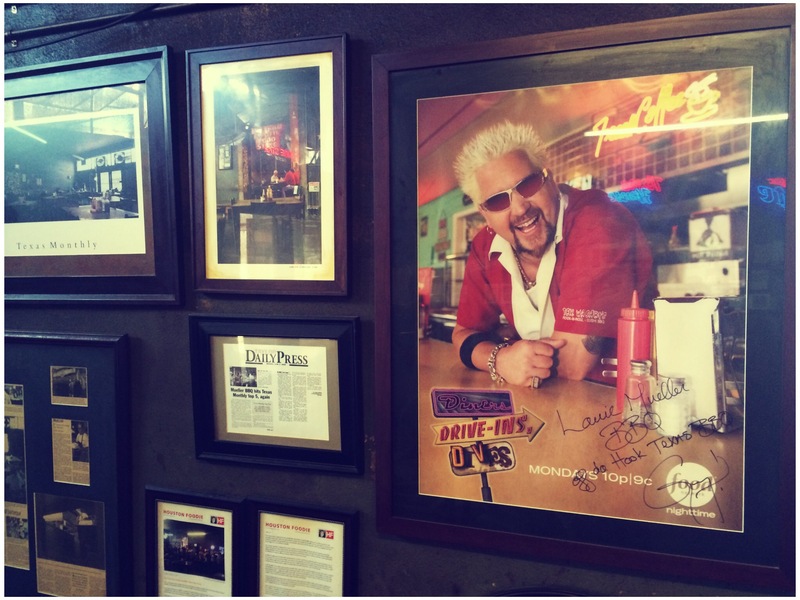 In Bobby’s good hands, Louie Mueller Barbecue began to attract the attention of Texas Monthly, films, documentaries on Texas barbecue, and even The Food Network’s Diner, Drive-ins and Dives. In 2006, Bobby Mueller was awarded the James Beard Award in the “America’s Classic” division. Bobby Mueller has since passed on, leaving his son, Wayne Mueller at the helm, making Louie Mueller a third generation family owned Texas BBQ joint! 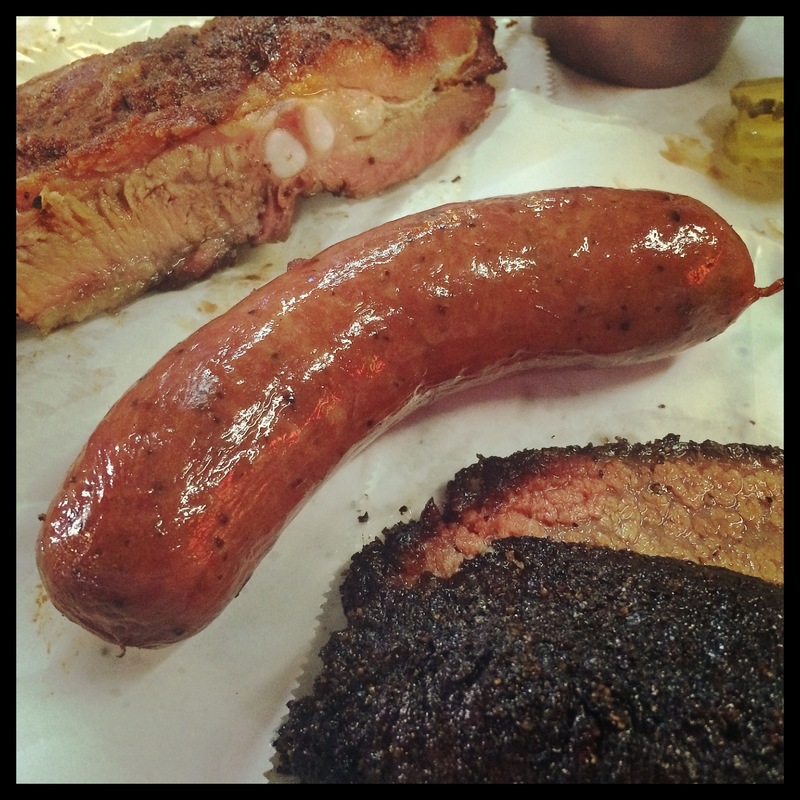 Three meats: beef brisket (moist), pork rib and original sausage. Potato salad, beans, sauce and fixings. 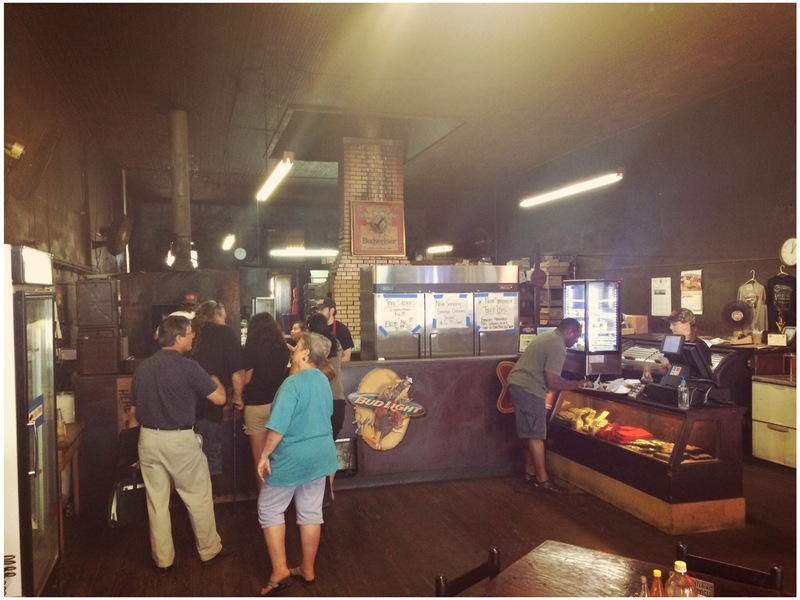 Over the last few years, I have made several trips through Taylor, Texas, stopping when I can at Louie Mueller Barbecue for lunch. I have consistently found the meats to be excellent, and very well worth the stop! In August of 2015, I finally found myself in Taylor for lunch with the time needed to conduct a formal review. With pen and grading sheet in hand, I ordered up the works, and set myself to take in the tray of goodness! 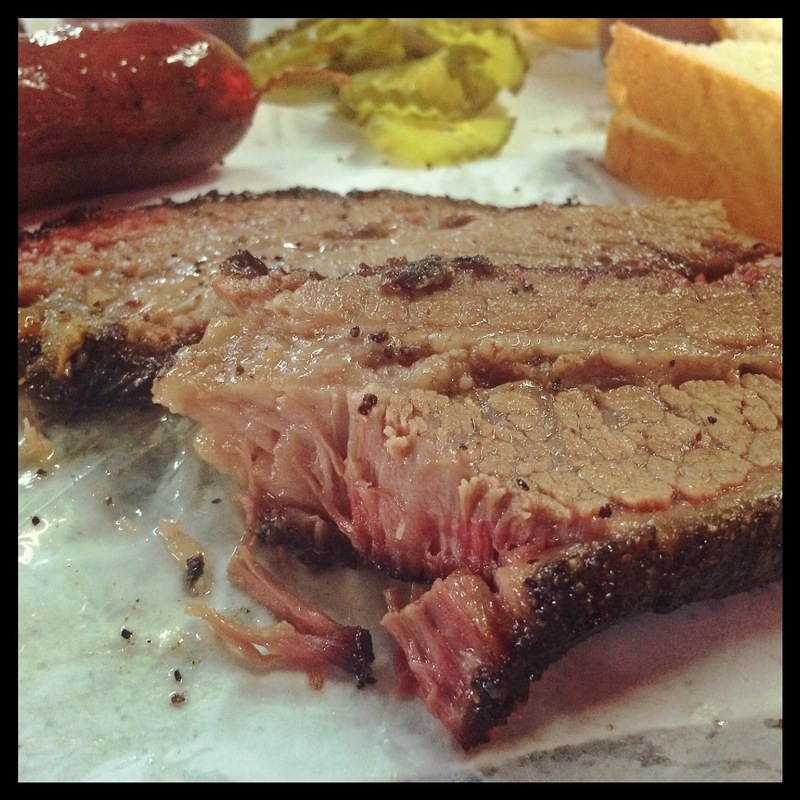 Louie Mueller Barbecue uses only USDA Prime beef for its briskets, which is only seen at the very premier BBQ joints across Texas (Cooper’s, LA Barbecue, etc…) It shows in the meat, as it is extremely tender and moist! Perhaps the fat is only sparingly trimmed for this reason, but it left a bit more fat around the edges than I would expect from a full rendering. The smoke ring was present, but not super thick or around all the edges. This is not something that adds to the flavor, only the presentation, so this is not a big deal. The bark on the brisket (which adds most of the flavor to the meat), was thick and well-developed, resulting in a very enjoyable eating experience. This is some of the best beef brisket that is out there. 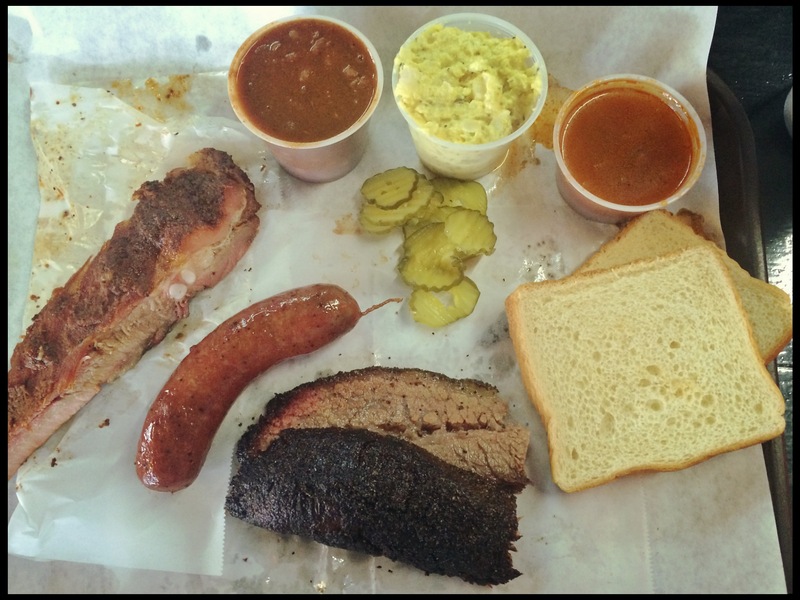 If you are searching for the best brisket in Texas and haven’t tried Louie Mueller Barbecue, you aren’t looking in the right places! Personally, I could have used a bit more salt in the rub, but to each his own. I know others who would disagree with me, and find saltier (eg. Miller’s Smokehouse in Belton, Texas) to be TOO salty. 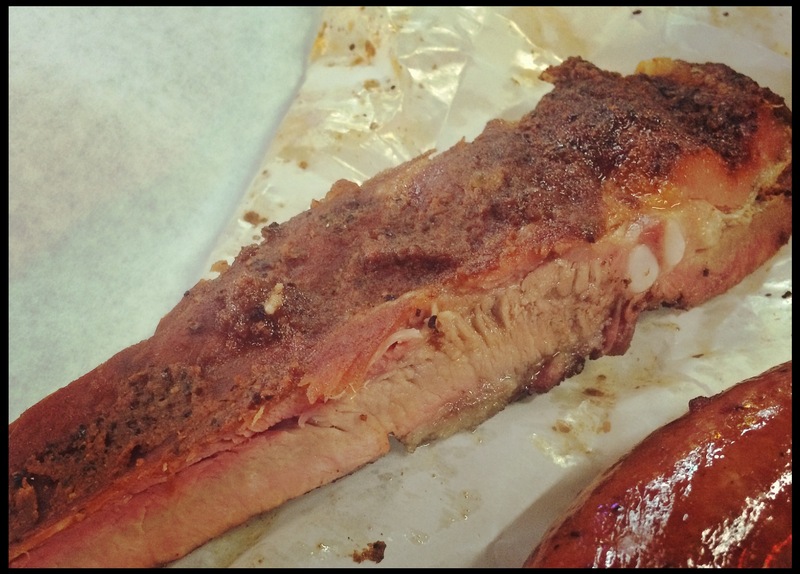 When it comes to smoking these gems, the pit crew at Louie Mueller Barbecue hit it just right! The rib meat pulled perfectly off the bone, and was extremely tender. The flavor was outstanding, packing quite a punch! I had no negative comments whatsoever when it came to these ribs – truly great! If hard-pressed, I would say where the brisket could have used just a touch more seasoning, the ribs could have used just a touch less. Not that they weren’t fantastic, but the natural pork flavor of the rib was lost in the dry rub. Frankly, while I like a good, clean, pork flavor as much as the next guy, I found the spice-profile of the ribs at Louie Mueller Barbecue to be outstanding! The hand-packed original link at Louie Mueller Barbecue is a beautiful specimen of what sausage should strive to be. With a perfect casing snap, and thick smoke ring, the only place this sausage could end up is in the winner’s circle. The flavor, oh the flavor! If you like pepper (and what foodie DOESN’T like pepper?) this sausage link is for you! I have had better, but not often. This link is no dull sausage! 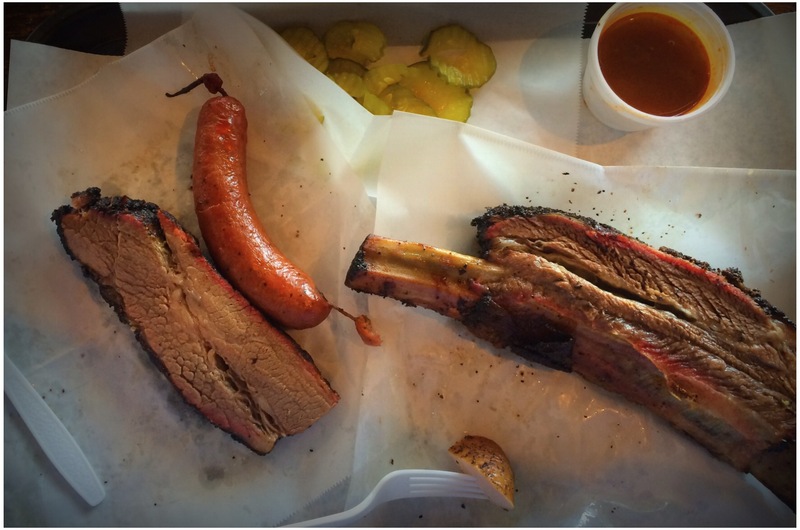 Check out the size of that beef rib next to the link and sliced brisket! Holy cow! As you are aware, I only score based on the three meats listed above. However, I will remark when I come across other meats that an establishment does well (no points taken off for creativity in other areas). When you talk about Louie Mueller Barbecue, you would be remiss if you didn’t mention their beef ribs. There are only a precious few other places where one can be served a giant dinosaur bone with deliciously tender beef stuck to the side. This is one such place! If you find yourself in Taylor, and are in the mood for a LOT of delicious beef, skip the brisket (just once!) and order the beef rib. You’re welcome! Louie Mueller Barbecue serves up some great sides in addition to its meat. The potato salad leaves nothing to be desired – not your average store-bought variety, but not too far from what you expect. The beans come across as more of a “bean only” chili. They are very good, and worth adding to your order. My least favorite thing at Louie Mueller Barbecue is the sauce. The good news here is that the sauce is completely unneeded, as the meat is so good. The sauce is light, thin, and vinegar-y. I didn’t care for it, even when just dipping the bread in it for a bite. This entry was tagged brisket, HillCountryBBQ, LouieMuellerBarbecue, PorkRibs, sausage, TexasBBQ, TheBestofTexasBarbecue, txbbq. Bookmark the permalink.